Eagle Backers — Malik Media | Branding. Marketing Strategy. Design. Eagle Backers is a nonprofit booster organization dedicated to supporting athletes at New Albany Plain Local Schools. 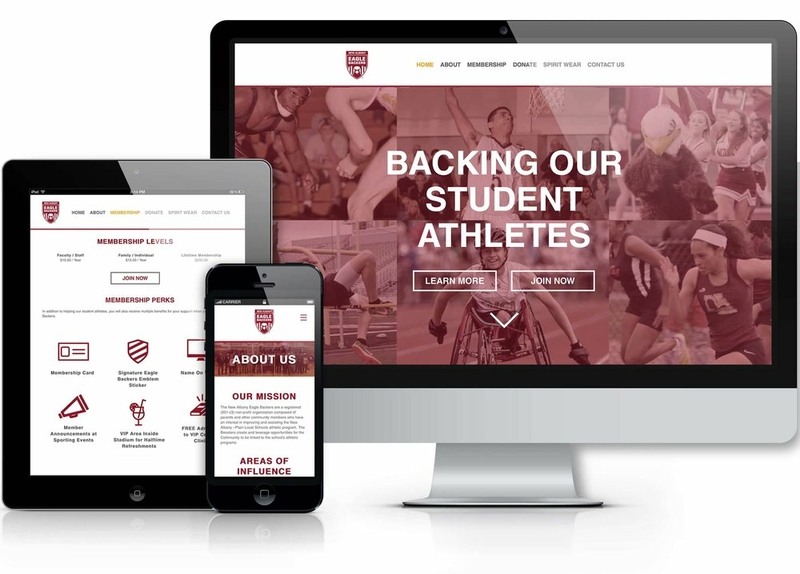 After years of having an outdated website, they approached our team to help them create a refreshed web presence that looked professional, modern, and trustworthy to potential members and large donors. They also needed help finding a way to bill their members annually and automatically, rather than having to send invoices and collect checks. We leveraged parallax scrolling to give the website a more creative feel, centered around imagery rather than words. We also migrated their existing member data into a nonprofit CRM that automatically bills members on an annual basis and also offers tools for more streamlined communication.